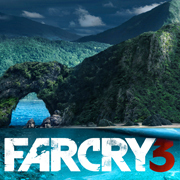 Far Cry 3, the next installment after Far Cry 2 will be out for Playstation 3, Xbox 360 and of course, the PC in 2012. Firstly, Crytek has no business with Far Cry 3. Most of the people believe the producers are Crytek but this is a tropical survival shooter video game from Massive Studios and Ubisoft Montreal. When Far Cry was released in 2004 by Crytek it changed the gaming industry with its awesome graphics and realism. It literally blew the gamers away at that time. Then came Far Cry 2 after 4 years with Crytek no longer owning the Far Cry franchise. When gamers played it, they found themselves almost driving/walking around deserts and jungles with no stop, well the game is spread over 50 km of space so the gamers have a lot of space to play hide and seek. This video which was released in E3 2011 pretty much shows us how Far Cry 3 would look like ! We have high hopes for Far Cry 3 ! Hope Ubisoft wouldn’t let us down! FIFA 17 teaser released- Here’s what it tells us. Sony Rumored to build a ‘New PS4’! Looks pretty sweet. Im sure ill give it a shot when it comes out next year. Thanks for the review.